If my life was a pie, illustration would eat one quarter of it. Another quarter would go to writing and the third one to random free time activities, hundreds of movies, tea drinking with friends and occasional sports. The last quarter would go to magazines. Magazines and books. Thinking, talking and dreaming about them. 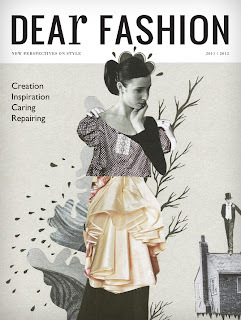 In the past year, I've been working on my own very first independent magazine Dear Fashion Journal, which I have mentioned here a few times. However, next to that there has been also another baby in the making! This time, I've been lucky to be in the project with a good friend and colleague of mine, Laura de Jong, and a Dutch publishing company BIS that makes great books...awesome books, to be honest (and not even one teeny bit biased)! One of my favourites in their collection is a book series called Ridiculous Design Rules, which never fails to make me chuckle and nod my head in agreement. 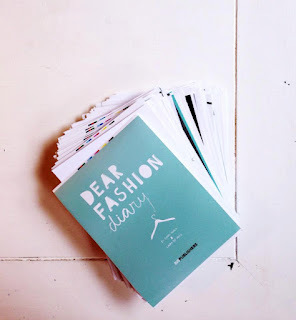 Anyway, the book we have been working on is called Dear Fashion Diary, and it's name stands pretty much for what it is: a fashion diary and an offline blog letting you document your fashion life, discover your taste and become your own style curator. It consists of over 50 illustrated assignments that allow the readers to grab their scissors, pencils and glue sticks and get creative. We wanted to make the diary to create a fun tool for people to get to know to their wardrobes and learn how they express themselves through fashion. 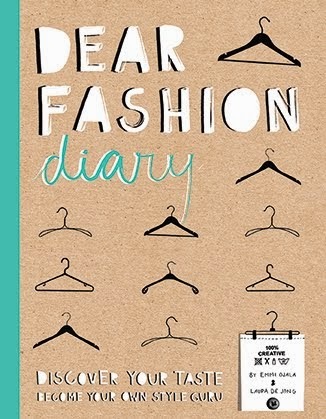 Me and my wardrobe have been in a bit of a fashion slump for quite some time now, so I really can't wait until April when the diary comes out and I get to start using it myself as well!